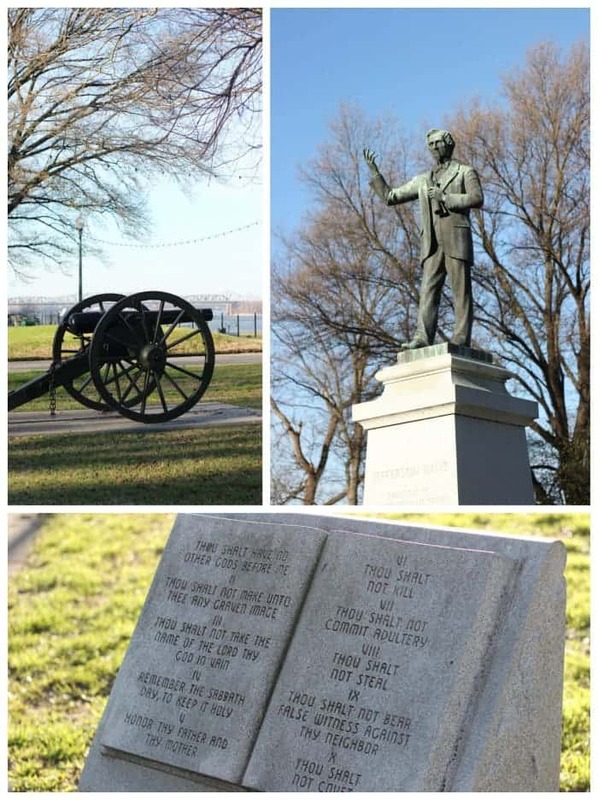 Looking for things to do in Memphis with kids? 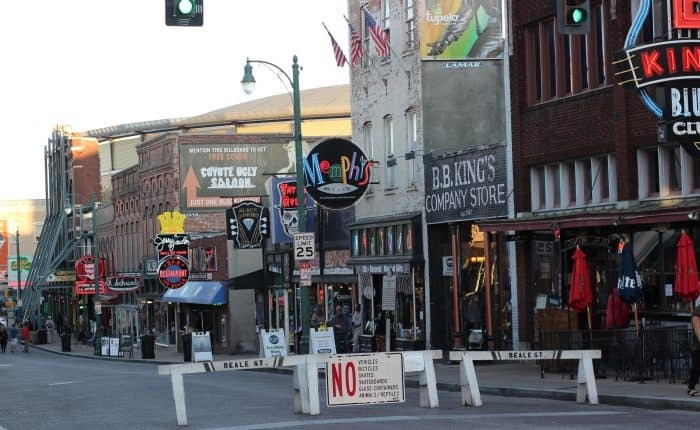 Check out this list of things to do in Memphis for families. Most are cheap and some are free! 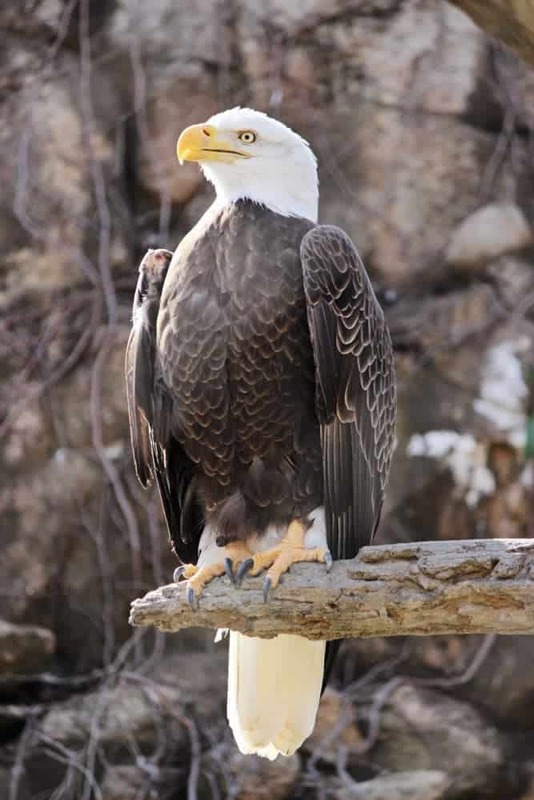 Memphis Zoo – I’ve visited zoos in five states and one in Canada, and Memphis Zoo has to be the most charming one I’ve visited. We arrived right at opening one Saturday in March and it was cool enough that the animals were active and the crowds were low. We were able to see all of the animals up close and personal due to the habitat designs. 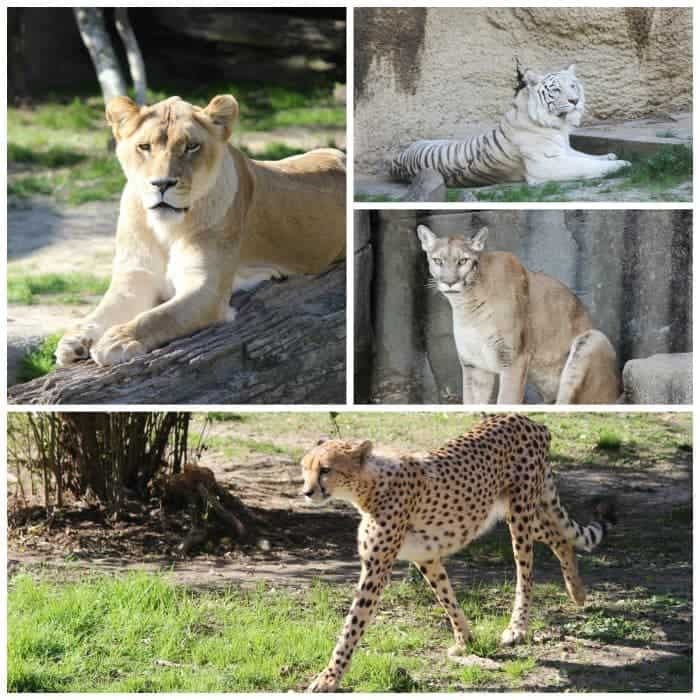 I took a ridiculous number of pictures of the big cats just because they were so alert that cool morning. 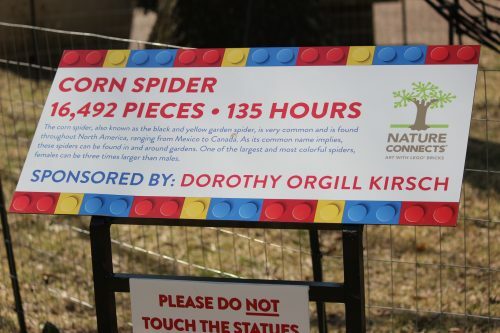 From now until July 9th, Memphis Zoo is hosting 15 giant Lego brick sculptures, so after we visited the kitties we went to check a few of them out. They are even more impressive when you realize how much labor goes into each one! 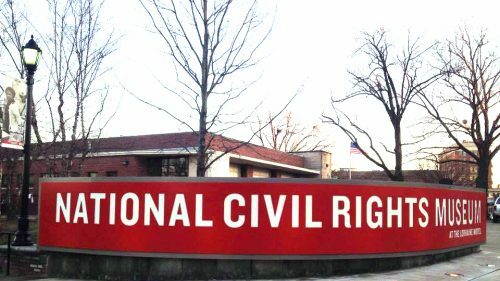 If you’re a local and looking for things to do in Memphis for families, be sure to check out this traveling exhibit before it moves on. We caught the bird show and it reminded me of Flight’s of Wonder at Disney’s Animal Kingdom, but for a fraction of the admission cost! 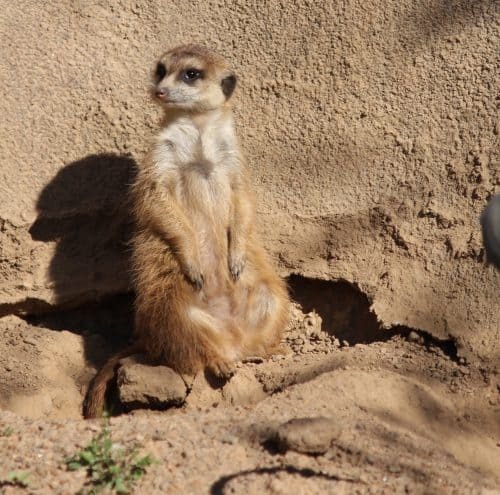 There are so many more animals to see at Memphis Zoo, polar bears, penguins, and pandas to name a few! 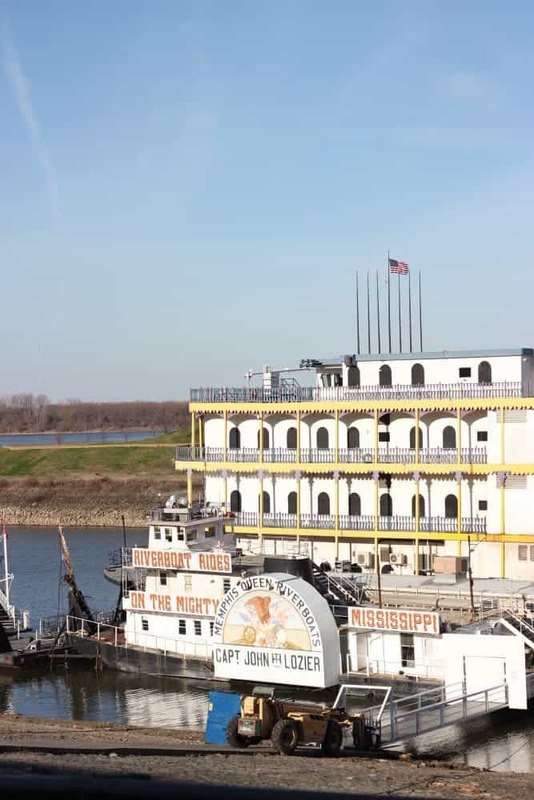 If you’re looking for things to do in Memphis for families, don’t miss it. The Peabody Memphis– I’ll never forget watching the ducks make their march when I was a kid so it was a treat to see them again as an adult. The Peabody ducks spend their day swimming in the lobby fountain so if you want to see them march, you can do so in the morning or evening. The 5:00 march is a popular time and place for a libation so arrive early if you want a seat near the action or a good view. Either way, be sure to visit their rooftop palace while you’re there for some beautiful city views. This is a free activity in Memphis for families! 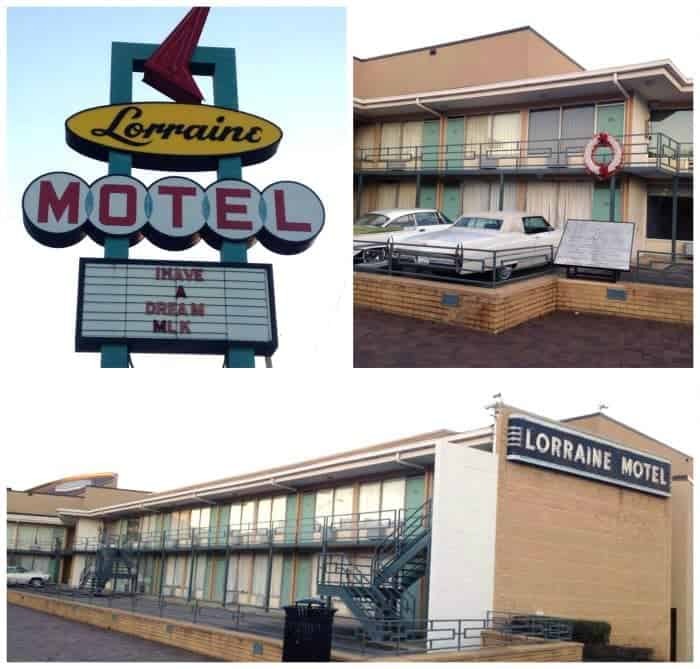 National Civil Rights Museum – We did not work a complete visit to the Civil Right Museum into this trip, but managed to see the Loraine Motel from the outside.. If you’re visiting after hours or are on a budget, at least stop by and read the information outside. It’s a sobering experience, an educational opportunity for your kids, and a great conversation starter for some tough topics that we as parents are often uncertain how to approach. 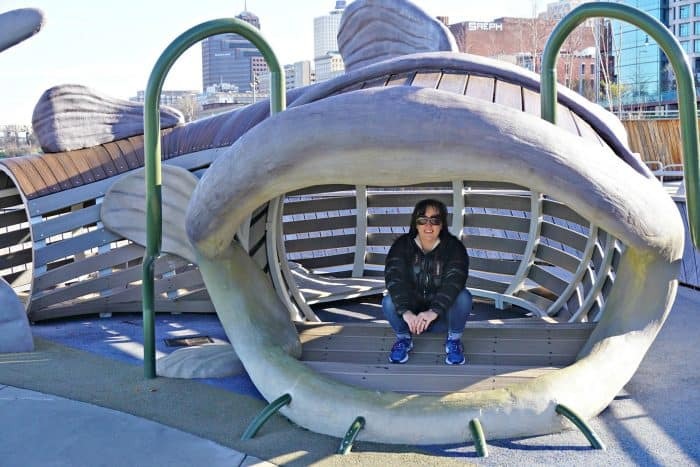 or cool off in the mouth of a giant catfish at the splash pad at Beale Street Landing! 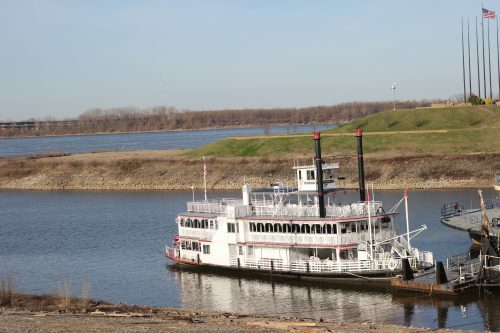 Check out the riverboats and their history while you’re there. 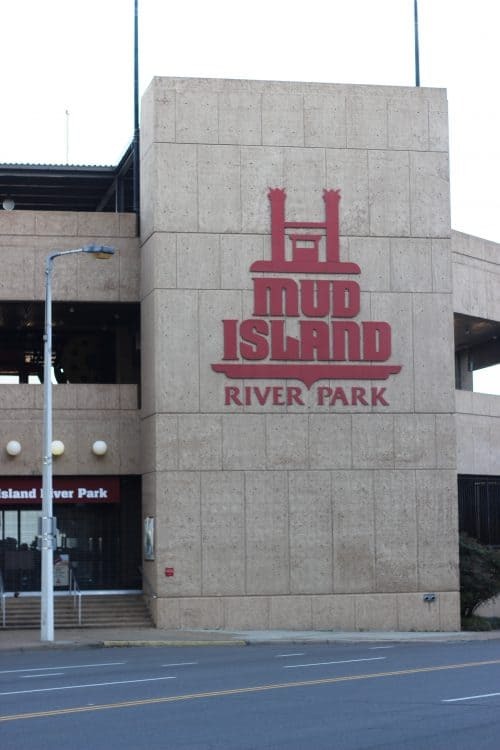 Mud Island was a favorite of mine as a child, but since it’s only open seasonally, I didn’t have a chance to revisit it. 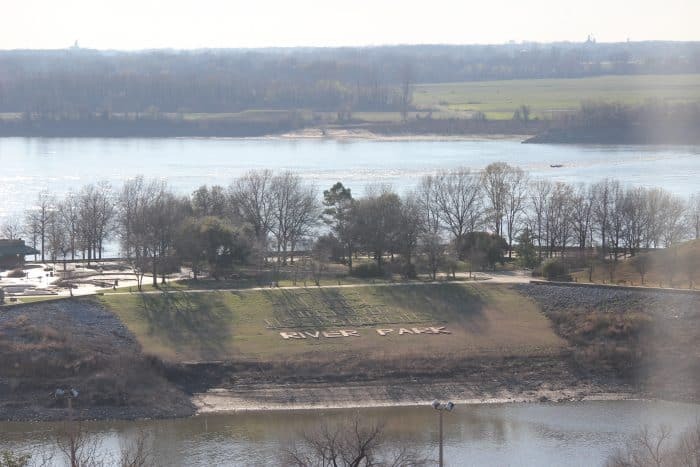 If you’re visiting Memphis with kids from April-October, don’t miss Mud Island! It’s a great way to cool down and learn some geography too. 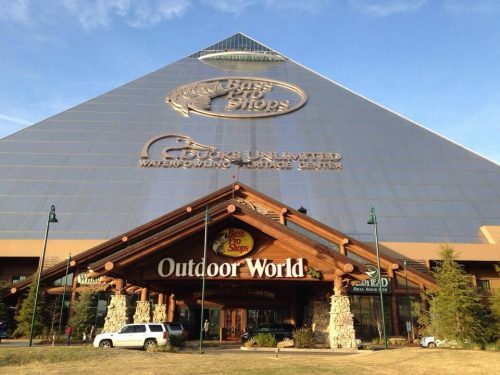 Before you leave the downtown Riverfront area, stop by Bass Pro at The Pyramid. 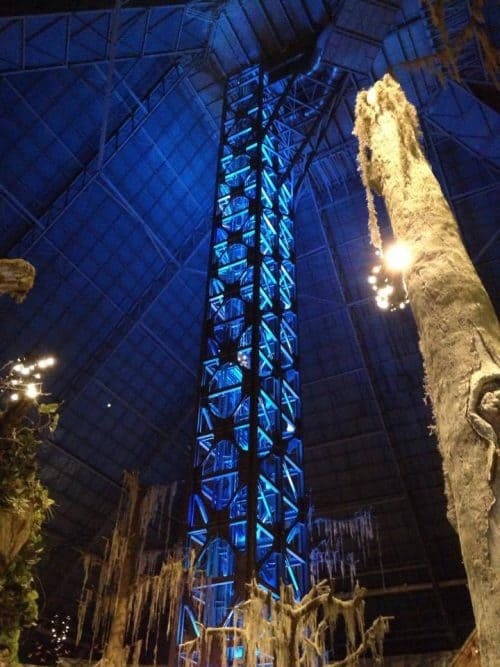 It’s $10 per person ride the world’s largest freestanding elevator to the top, where you’ll see some spectacular views from the glass observation deck. Tip: If you plan to eat at The Lookout, you’re $10 elevator ride will be refunded on your bill, so you might just want to make a lunch or dinner date of it! 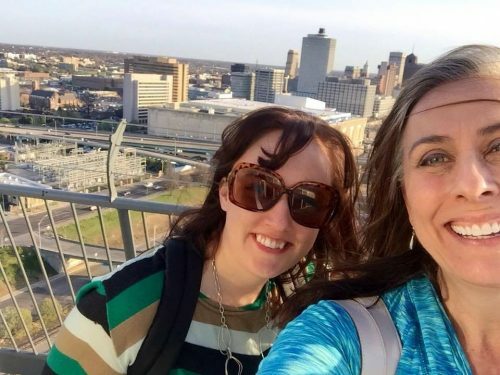 Ride Around Downtown – Everything I’ve mentioned so far was within walking distance of our room at Comfort Inn Downtown (where we experienced a delicious hot breakfast, convenient location, and clean, comfortable quiet rooms! 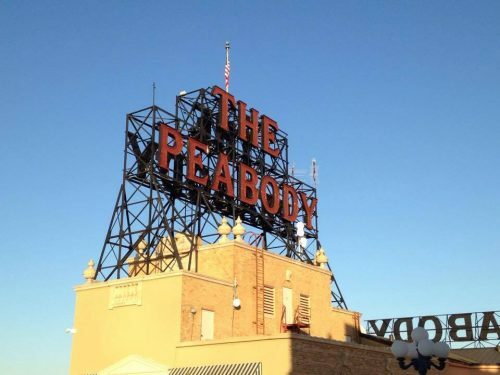 I highly recommend it for families staying in Memphis.) But if your little ones grow tired of walking you can always hitch a trolley ride for cheap! 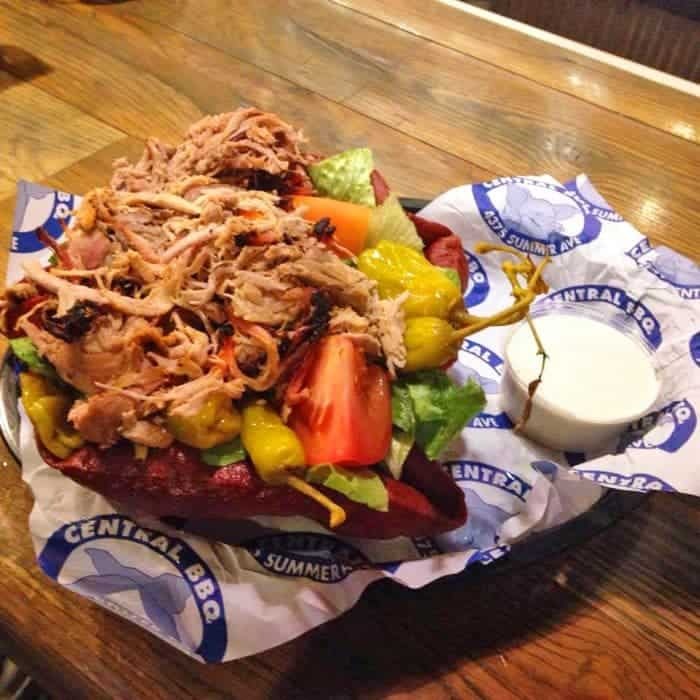 Ride down to Beale Street for an early dinner before the nightlife cranks up and eat at Silky O’ Sullivan’s. 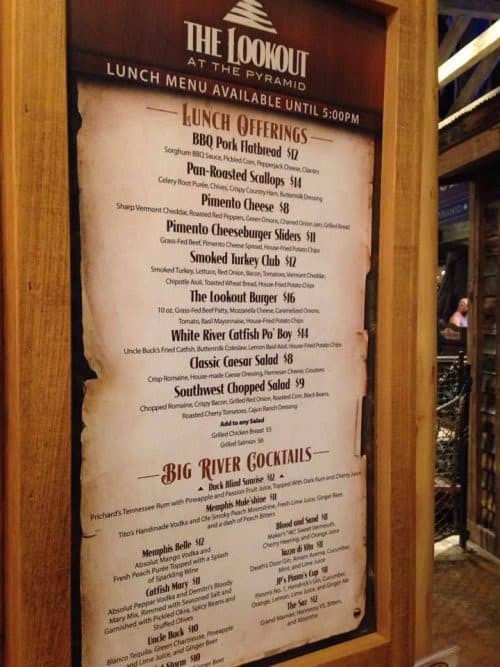 They have a kids menu and delicious dry-rub ribs. 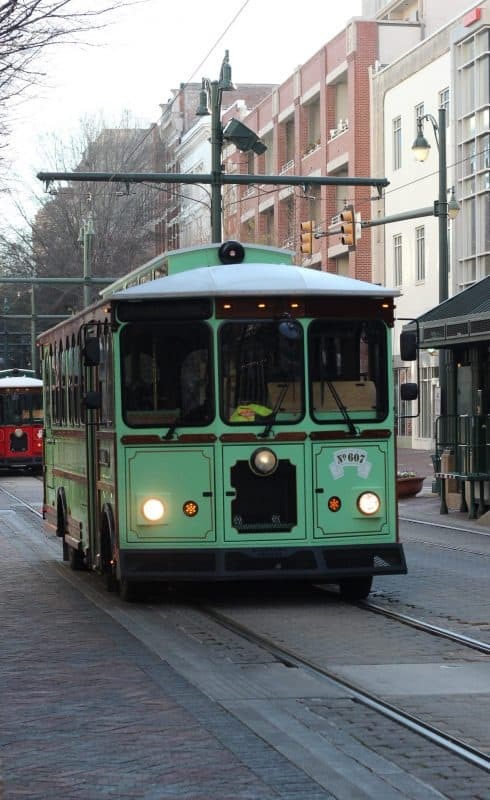 Comfort Inn is directly on the Trolley route so you can be brought right back “home” after playing all day. 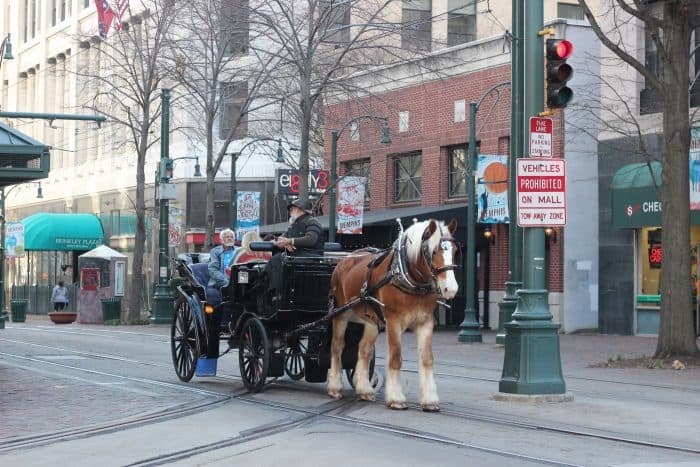 If you have a little more to spend, you might want to get around via horse and carriage! Don’t forget about all the lovely street art in Memphis that’s free to see while you’re perusing the downtown area. 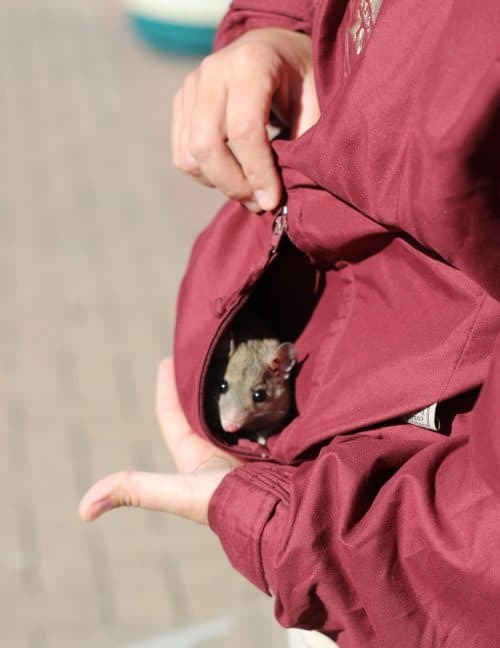 Check out my post at the link to see some of it! 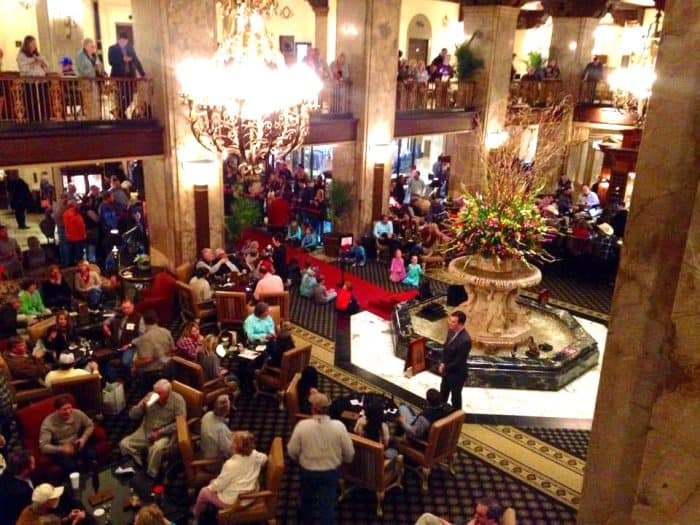 There are so many more things to in Memphis for families. There’s a children’s museum and a water park, plus revolving concerts, shows, festivals, and exhibits. I can’t wait to go back with the kids. Accommodations and some activities and meals were provided. All opinions are my own.